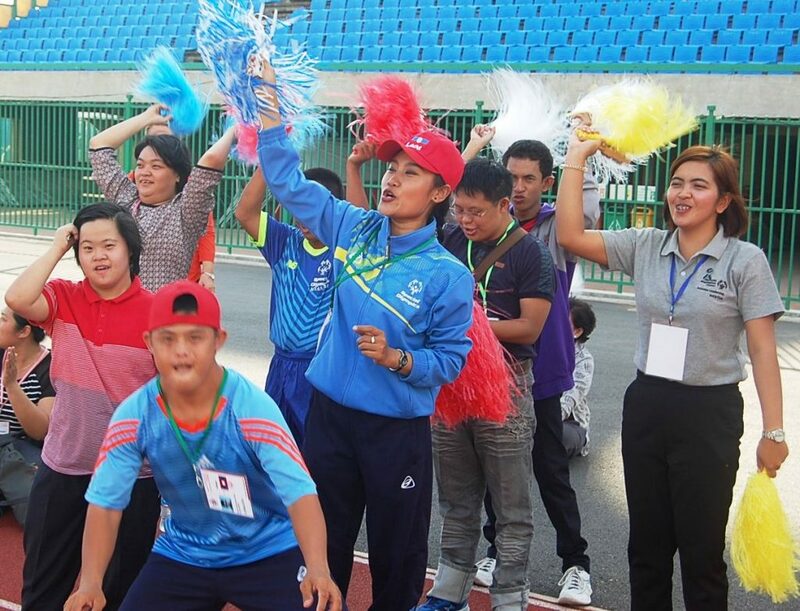 Each year since 2007, we have partnered with the National Special Olympic Committee of Cambodia to host athletic competitions at the National Olympic Stadium for intellectually challenged children and youth. 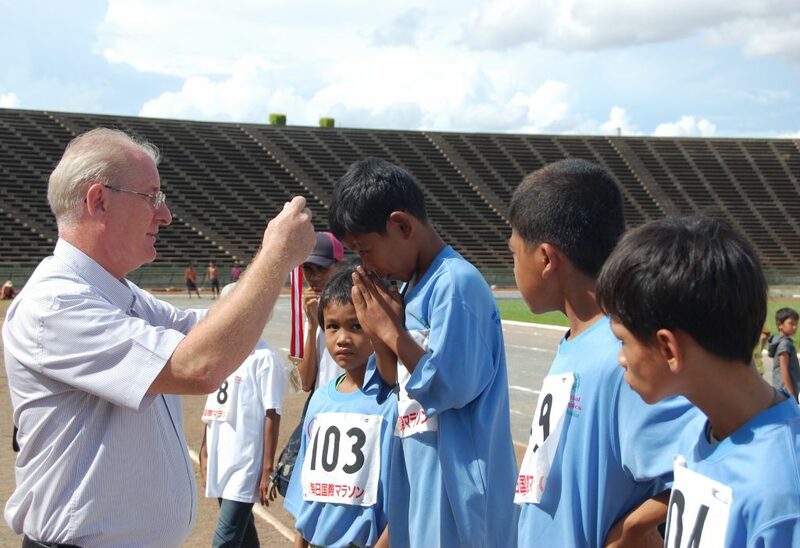 Each year since 2007, we have partnered with the National Special Olympic Committee of Cambodia to host athletic competitions at the National Olympic Stadium for intellectually challenged children and youth. Sometimes the games consist of a variety of track and field events. 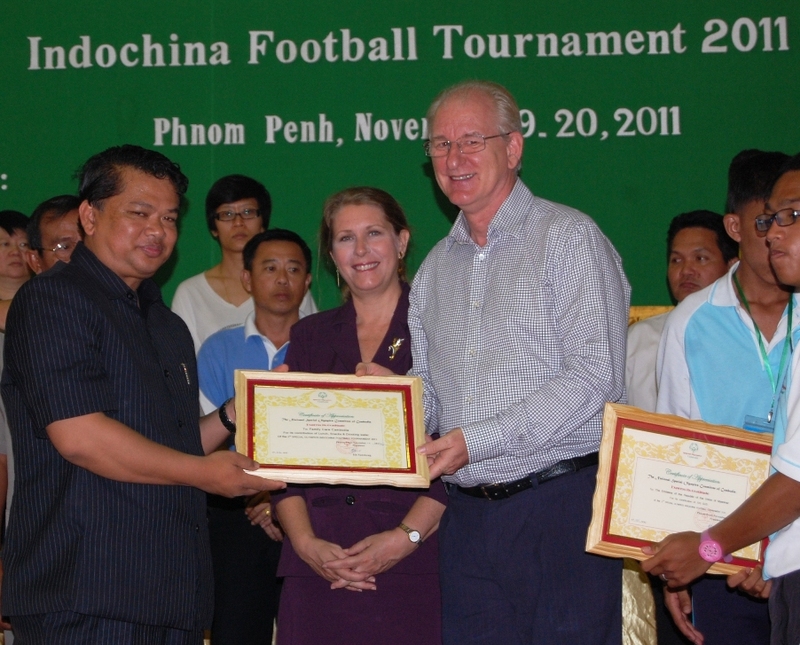 Other times, there is an emphasis on team sports like soccer. 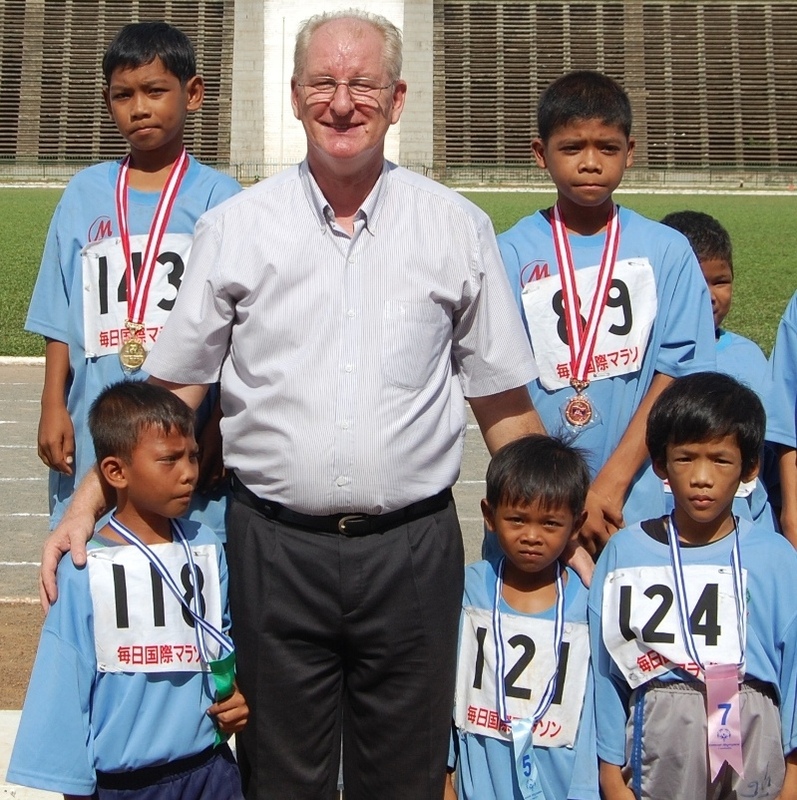 The young athletes come from the capital city and from rural provinces across the country. 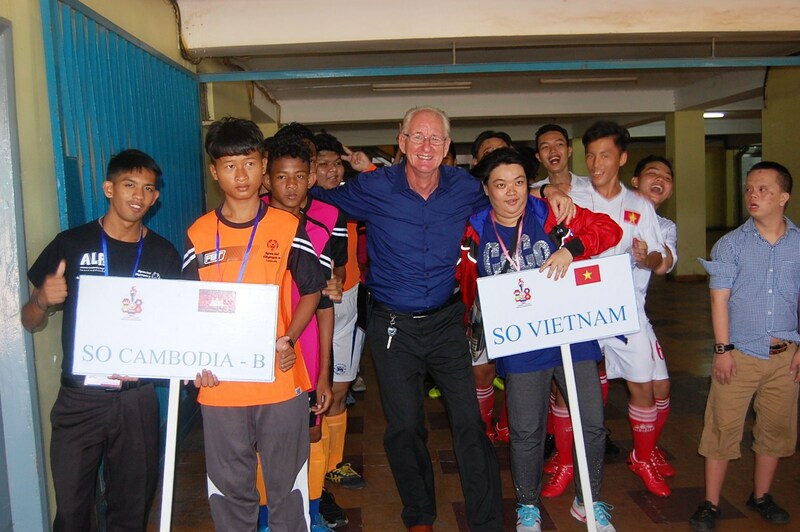 2016 was a milestone year, as the games included teams not only from Cambodia, but from the neighboring countries of Vietnam, Laos, Thailand and Myanmar. 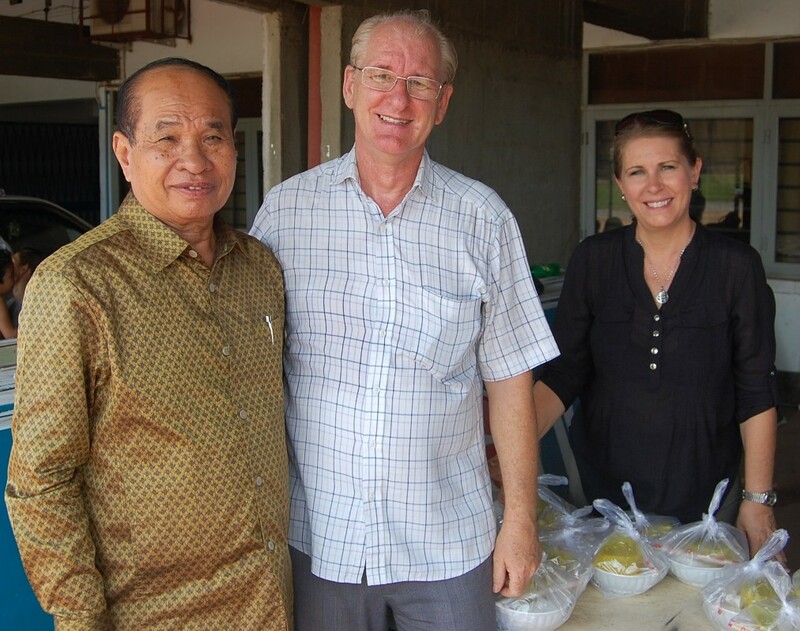 We organize the donation, delivery and distribution of free lunch, snacks and drinks for all participating children, care-givers and parents, thanks to the generosity of local sponsors and businesses. 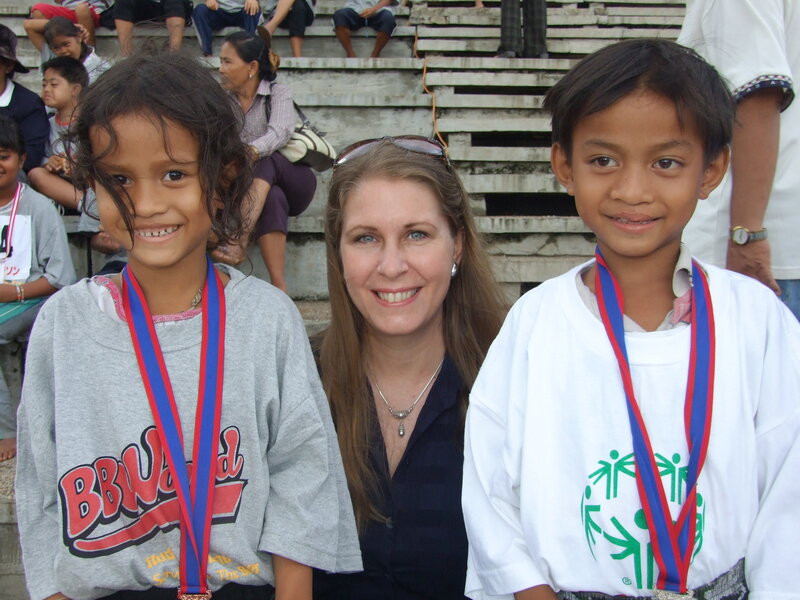 Each year the success of the Special Olympic Games are a tribute to teamwork and partnership! 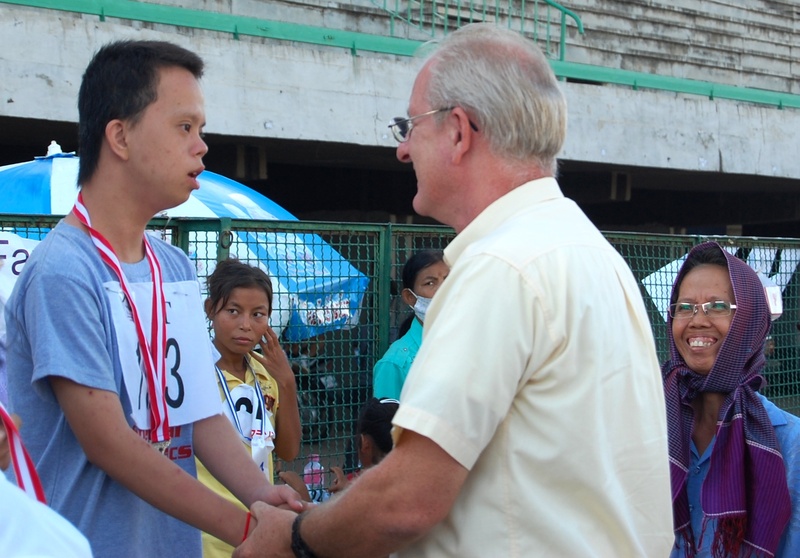 These youth often lead a marginalized, and difficult life due to their disabilities. 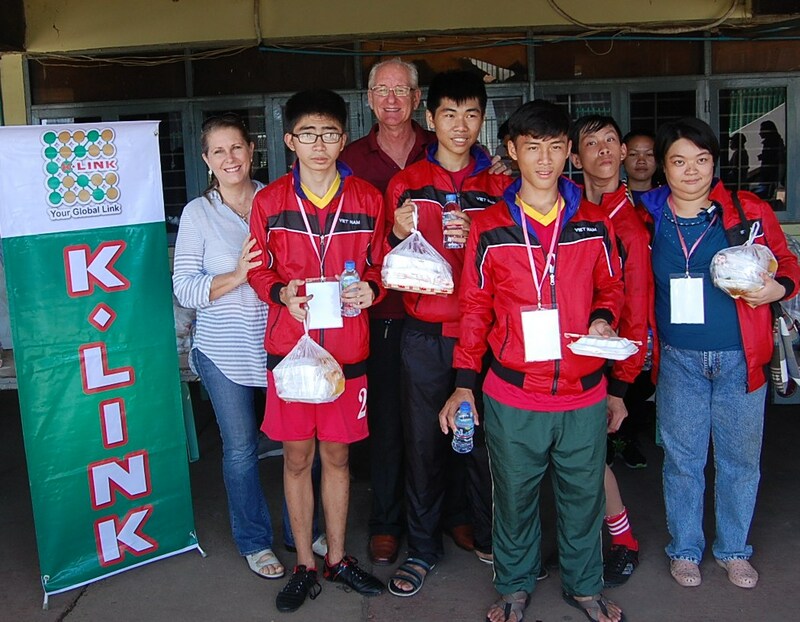 So it is a thrilling and uplifting experience to join together for organized games and races, be cheered on by enthusiastic spectators, and receive medals for their efforts from government officials. A highlight of each year’s games, has been to sit in the shade of the Olympic Stadium bleachers and enjoy a nutritious complimentary meal.